Concord and north Charlotte residents are becoming reacquainted with the beauty of their town, homes and families after experiencing cataract removal surgery with Concord eye specialists. Concord, North Carolina prides itself on “High Performance Living”. Anyone who has suffered from cataracts can tell you that cataracts can put the brakes on your quality of life. Concord, North Carolina eye doctors can restore your vision with safe and effective cataract eye surgery. Concord, North Carolina residents enjoy a rich cultural life. The Galleries, on the first floor of the 1876 courthouse in downtown Concord, offer a variety of changing, eclectic exhibits. Enjoying the rich hues and details of the artists’ work is difficult if one’s vision is impaired by cataracts. Cataracts can impact the variety of colors one sees and make it difficult to discern details. Some people with cataracts complain of a brown or yellow hue to everything they see. Don’t miss the beautiful colors and details of art. Talk to your Concord, North Carolina eye specialist about the possibility of cataracts and they options available through cataract eye surgery. Maybe you’ve always enjoyed the theatre. The Davis Theatre, upstairs from The Galleries in downtown Concord, North Carolina, stages wonderful productions. To fully enjoy the work the actors, crews and performers put into their work, you need clear vision. Cataracts, however, can impair your experience at live performances and movies as well. Cataracts are clumps of protein which form on the lens of the eye. Because they develop gradually, cataracts may not be noticed initially. Rather, the patient begins to notice problems with blurry vision and trouble focusing on detail. The patient may also complain of problems with night vision or dark places such as theatres. A visit to your Concord, North Carolina eye doctor can have you enjoying the performances at the Davis Theatre or movie theatre once again. Do you enjoy shopping at Concord Mills Mall? Have you found it more difficult to discern among the colors on the racks of clothes. Distinguishing between dark colors such as dark blue and black can be difficult especially for patients with cataracts. Cataracts affect the amount of light actually passing through the lens to the retina. Thus, variations in color can be difficult for patients with cataracts to detect. A Concord, North Carolina eye doctor can discuss your options for cataract removal and lens restoration. In some cases, the cataract can be dissolved from the lens through a process call phacoemulsification. In other cases, replacing the lens may be the better option. In either event, the procedure is considered one of the safest and most effective surgeries performed in the United States today (National Eye Institute, 2011). 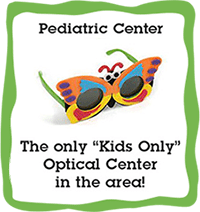 Your trusted, experienced Concord, North Carolina eye specialist can discuss your options with you. Don’t hesitate. Make an appointment to discuss cataract removal with your Concord, North Carolina eye doctor today.